We have a new pastor, and I am trying desperately to acclimatize myself to his liturgical style. I’m wondering which things I should be concerned about and which I should just deal with. aids) and she relies on being able to read lips on the one portion of the Mass which is not printed in the missalette. She cannot hear him or read his lips for the approximately half time his back is turned toward her. I also notice the Deacon has begun this practice (I’d imagine at the direction of the pastor). In the ancient Church the preacher, usually the bishop, would sit. A while back I posted a PODCAzT about a sermon of St. Augustine who describes a serious disturbance in the cathedral of Carthage where he was supposed to preach and he went down out of the sanctuary/apse to an unaccustomed place in the nave. I suppose the roving preacher in the Catholic Church comes from the imposition of the man’s own personal quirk on the people of God. This may be in imitation of Protestants, who almost by the very nature of much Protestant preaching need to impose their own personality on the sermon. In my opinion and experience, the Catholic preacher who does this is a narcissist. He is drawing attention to himself. He imposes himself, overlays himself, for his own needs, on the rite, the Word of God, and the people. His needs first… every else? Forget it. Sometimes there are exceptions, such as processions with the Eucharist. There is also the beginning and end of the funeral. If there is a person of note present, the celebrant can leave the sanctuary to give the sign of peace. These are exceptions to the general rule that the priest belongs in the sanctuary. Period. This entry was posted in ASK FATHER Question Box, SESSIUNCULA and tagged homily, nave, sanctuary, sermon. Bookmark the permalink. This is the single most annoying practice favored by “with-it” Catholic clergy. Phil Donahue in a caftan! Yuk! I used to be in a parish that had a round ‘worship space’ and the pastor loved to be dramatic and walk around in the big circle arena. He said he knew Mass was good when he was having fun. I have not yet totally recovered from being there but am working on it. Not Erraticus circumvagans… suas profert nugas. Pox on all their houses (is that too harsh??!). Narcissistic attention-getters, drama-queens (or kings)…isssh! Just give the message at the ambo (pulpit) and get onwit’ it, Father! How annoying to watch/endure this kind of spectacle! Sorry if I’ve been judgmental, here. You don’t have to impress me, Father. Just tell me the Word of Life; the true “key of Heaven”…and forgetta about the showmaniship…leave THAT to Fr. Pfleger, et. al. Acts of the Apostasy blog yesterday had an article about a “laser beam” shock device the Vatican was “considering” to “combat liturgical abuses”. I think we need to provide this reader with one immediately. Desertfalcon, you made me laugh out loud. I just saw my bishop do this today! In a church that the current pastor is in the same habit. Especially since I can tend to mentally wander if I don’t really focus on what is happening. The deacon at my parish used to do this, and I kept thinking that he really missed his calling as a Baptist preacher. He has since roamed to another parish, and our priest delivers the homily from the ambo in a much more dignified manner. lacrossecath: OHHHH NO!…Tell me it ain’t so…I’m dyin’ here!:<(! Thanks for the snippet about St. Augustine, Father. That was very interesting! I’d like to know about the Mass in Milan (and environs) in his day. The pastor here does it (somewhat) with the kids at the “school Mass”; whatever. That’s his prerogative. [Hmmm… I think it is his choice, not his prerogative.] My problem: it becomes a “catechism class”, which, does have its benefits. I’m not interested in teaching catechism, at that point. So. I’m probably looked upon as stodgy, unfriendly, etc. Every single priest in this diocese but two who say the EF wander around and down the aisle at the homily. This is also true in a diocese next to ours. As far as I know, this has been the way of preaching for over thirty years, as some of the priests in that generation were told to do that in the seminary, to “involve” the people. I hate it, as it reminds me of a cheesy comedian at a cheesy bar. This happens during daily Mass and on Sunday. It hurts to watch the priest. Several of the faithful shoud get up and wander around or follow the priest around in a pensive attentive mood. My problem with a priest roaming around during the homily is that it often is done in lieu of content. Don’t want to judge or cast aspergens upon anyone, but, I believe you are correct. The “drama-king” typa thing is just rampant. Give me Jesus, in His Word, in His Sacrament, and knock it off…that’s what I think, anyway! In all fairness, I’d hesitate to label this priest a narcissist. He’s probably sincerely convinced that this is an effective way of engaging the congregation. Most Catholic preaching is (by this ex-Protestant’s standards) pretty anemic. I am the last person who wishes to encourage violations of the GIRM, but I do wonder: how much effort is put into homiletics in seminary? Or maybe it’s just that men who become Catholic priests have different personality traits than those who become Protestant preachers. Perhaps we could issue shoes with plates in the soles and equip the floor under the pulpit with strong magnets. smallone: I have to tell you; I was trained by a Dominican, with media background, etc. He insisted that we concentrate upon “the truths of the faith” and not get into dramatics…really. The wandering around the place is probably a “taught thing”; get peoples’ attention; let them know you’re “with them”, be “cool”, whatever. I’ve seen it all; heard it all. The most effective preaching, as far as I’m concerned (and I do not consider myself in this “class”, believe me, if people get something out of what I say, it is God’s grace, pure and simple) is sincere, direct, clear and helpful to the everyday life of the people in the pew. Otherwise, it IS narcissistic, awful, overly dramatic and just “yechh”. 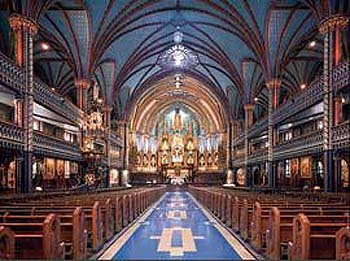 Fr.Z: from my understanding, at Masses “where children predominate”, as in a school Mass, there is, in fact, something that allows for the priest to go down into the congregation. I’m just giving the pastor (my superior) lots of room, here. If it’s not allowed, I’ll tell him, ever so properly:<)! What’s a person of note? Am I less “of note” than, say, the mayor of my city? Should questions of status in society enter liturgical rules?? That’s it. The sad thing is, without personal insight and a good does of Divine light, one cannot see it in oneself. I think that certainly can be the case however, I would rather have a short expositive homily that is relevant to the day’s readings that may be a little dry than Prot. style preaching that tends to reflect the pastor’s interests. I don’t see this very much in the Diocese of Arlington, although we do have a few holdouts for aging flower children where this sort of thing is more likely to take place. It strikes me as an occasion to indulge narcissism, as least as the practice is described above. Our former pastor would typically give his homily from the intersection of the aisle and the front row. He’d roam a little, but basically stayed put there. His successor preaches from the ambo at weekend Masses, and from the aisle at the more thinly-attended weekday Masses (he tends to wander a little more). Personally, I rather like it, and from talking to other parishioners, they seem to like it too. From what I understand a “homily” or “sermon”, if you will, is supposed to be, is NOT an inspirational, motivational talk. people just want to hear the Word of God, made present in their midst, giving them light, hope and instruction. Don’t go all “Joe Orsteen” or whomever…just “do it”! This is a slop over from evangelical sects – take a look at some of the Paul and Jan Crouch stuff on Trinity Broadcasting Network. Hand holding, arm waving, aisle wandering and weird clothes wearing ministers and ministrettes. In my experience, Priests who do this are more showmen than homilists, do it to be popular, and to draw attention to themselves. While I admit this is a generalization they also seem to focus on feel good stuff rather than the content of the readings of the day. BTW Father your choice of a photo to depict this type of circus could not have been more appropriate. Father re “is this what they’re supposed to do”—in his case, no, he was genuinely very good. Of course I recognize the wide open door here for people who aren’t very good to make up for a lack in substance with rhetorical fire or OTT theatrics. All I’m saying is, if you have someone who’s very good, who really gets into it and is either put at ease by free expression—aren’t sicilians known for gesticulating a lot, for example?—or gets caught up in it, I’m not sure that’s bad. To give a better-known example, it’s never occurred to me watching Fr. Larry Richards (e.g. this that he’s doing something wrong. Why not just say, “Father, when you move around too much, my wife can’t read your lips”? Admittedly it’s annoying to have to plead human weakness to get the problem solved, but it would be a wakeup call and give Father a face-saving reason to stop roaming. While we’re at it, it’s amazing how few readers realize that excessive head-swiveling at the mike during the readings, ostensibly to “draw the congregation in”, means that half the church can no longer hear you. If a parish has microphones, it should have some microphone practice classes. I attended Mass as a seminarian in New Orleans one summer where the priest roamed around the church with a Mr. Microphone warbling hymns for about an hour! He “consecrated” an Eggo waffle. Went outside to smoke during communion, leaving several women to distribute communion in large stainless steel bowls. Spent almost an hour singing Happy Birthday, Happy Anniversary, etc. to five or six folks. . .individually. I was so traumatized by the whole thing that I had to watch Bells of St. Mary’s 40 times in a row. . . I very much prefer the ambo for preaching the homily, it seems to emphasize that it is a liturgical act and essentially different from a “talk” or “lecture.” Preaching from the ambo carries more authority, and at the same time it reminds the preacher that the preaching act is to be conformed to the Word and not the opinions, pet peeves, agendas, etc., of the preacher. Preaching from other than the ambo trivializes the ambo, and undermines its relationship to the altar. At times (children’s masses, weddings, funerals) I might make an exception (for example, the small configuration of the church requires brides/grooms to sit with their backs to the ambo; thus for them to see the homilist, the homily must be delivered from another location). The ambo also has a big shelf in it where I can hide all my props. Fr. Jim: I read it…LOL! I agree: Preaching IS a liturgical act; it should be seen as such and respected both by the preacher and the congregation; like I’ve said before (ad nauseaum, perhaps! )…we’re not there to entertain, but to bring people to a more fruitful participation in the Sacrifice of the Mass and living it throughout the week. Fr. Philip: NO WAY!! Smoking during Communion (I thought only Greek ushers were allowed to do this…sorry)???!! An EGGO? That tops my “liturgical nightmares Top Ten”…and you persevered? God luv ya! A “very good” sermon is in the substance, not the gesticulation and movement. I happen to be of Sicilian descent (with a cap S) on both sides. My dad used to say (with love and in jest), “if you wan’t to get your mother to shut up, make her sit on her hands.” I, too, can get a little animated when the spirit moves me. Father Corapi is a pretty good preacher and is of Italian descent. I don’t see him flailing about or running the aisles. For me the theatrics have no place. As I’ve posted here before, a Catholic preacher is the best preacher. He alone is in possession of the Truth (whether or not he embraces it). All he needs to do is deliver it, without soft soap or candy coat. One of the priests who celebrate Mass at my parish has the most dry, methodical, monotone delivery imaginable. Yet his homilies are an absolute joy. I’m reminded of Father John Hardon, S.J. who is deceased. He is the poster child for dry delivery with absolutely joyous content. He’s on youtube. Fr. Philip I’m in the Archdiocese of New Orleans and I’d be interested in knowing what parish it was. If it’s inappropriate to say I understand but, since you said a “Mr. Microphone” was used, I’m assuming that this was at least over a decade ago. Jason: Archbishop Burke, in his recent interview on EWTN LIVE, admitted that although Fr. Hardon’s delivery could be very “dry”, it was full of depth, content and truth. That’s the epitome of good preaching; to state the truth, in season and out, no matter how dry or monotone the delivery. Truth is fruitful; absolutely! As for as the questioner is concerned, what about bring it up with the pastor? I don’t mean citing the rubrics or arguing, that would probably be counterproductive. But perhaps point out the difficulty his wife has because of hearing aids, and surely there are other people who have trouble following for that reason. Most priests that wander around are harder to hear. a – They could simply speak with the priest and present the situation in a positive manner (that someone appreciates his homilies and is trying to follow by lipreading, not ‘criticizing the way he says Mass’). He might modify his behavior accordingly. b – If the church building has microphones, particularly cordless mikes, then it might have special headsets available that receive the microphone signal and are compatible with hearing aids. Ask the usher or go to the sacristy and ask the priest. At an Eastern Catholic Church I attended for a while, both the Priest and Deacon wandered around some, and both were very effective and moving preachers. One time a little girl ran up to the Priest during his homily. He patted her on her head and sent her back, without missing a beat. The Spiritual Regulation of Peter the Great forbids the preacher to “whoop or hollow in the church, hold his arms akimbo, or do other things that disturb an audience.” So I guess it’s an old problem. “It is clearly not part of the Catholic experience from the earliest centuries that a preacher should walk around” – Father, this isn’t quite accurate. In the Byzantine churches there are no pulpits – the would get in the way of the iconostas – and the homily is always delivered by the priest standing in front of the Royal Doors, preferably standing among the first four pews in front of the tetrapod, although it is permissible to use a lectern in back of the tetrapod. This is perfectly reverent and “non-theatrical” in the Eastern Church, where the altar and iconostas represent Heaven and the uncreated energies of God, making it less appropriate to preach to the congregation from the altar (unlike Roman churches which represent the Church and Incarnation on Earth – hence the bareness of the Roman sanctuary devoid of ikons and veiled only by whispering, and the propriety of speaking to the congregation from behind the Communion rail and making the homily a more stilted, formal presentation of exegesis than one would expect in the East). For the priest to leave the altar in the Byzantine rite is also perfectly reverent because it is a common liturgical action. The priest usually walks through all the pews incensing the congregation and all the ikons on all four walls – there is enough sense of mystery that this informality does not detract from the reverence and holiness of the liturgy, and there is a much stronger sense of the congregation as being deified by grace than there is in the Roman liturgy, so walking among the congregation incensing them does not seem to be a desacralization of the liturgy. But the Roman is not the Byzantine rite, and the priest pictured in the photo was completely out of line. Most of the desecration of the Roman rite came from an ill-formed attempt to turn it closer to the Byzantine without respecting the respective integrities and fundamental symbolisms of each. The priest is flattening the whole liturgy to a purely “horizontal” interaction the preacher and the audience, like a Protestant meeting. He is simply a showman rather than an alter Christus. He is, as you said, a narcissist. I would like to make some comments on the matter of preaching positions etc in churches. 1. The late cardinal Lustiger used to preach at the front of the main altar in Notre Dame in Paris. he would stand there at microphone and speak directly to people, never sitting nor using a lectern. His successor often does the same. Some exit onto the old raised pulpits in churches across europe especially as these are outside sanctuary, a la Oratory in london. So the matter of ‘walking’ etc is really a non issue and I think it would be highly Pharasaical to be trying to legislate or look for such when it comes to communicating the Word of God. Having the celebrant ‘imprisoned’ in a pulpit does not matter, having him seated (as the Pope) or whatever in a cathedra is not the point. what is critical is the actual preaching of the Word to the people. That the message is preached with conviction and in the spirit of the Gospels is the point. Jesus walked the earth and preached in the hills, the mountains, on boats, in synagogues – as Lord his message was valid anywhere and at any time – He was the preacher par excellence. So let’s focus on the message not the manner of that. Of course a caveat – the eucharist is not a circus or performing arts event – as it has often become of recent times – so clergy need to be aware of that, and this has been sadly missing and a distracting feature of many Masses across the planet. 2. My second point relates to my last – yesterday at the Mass for the centennial of Blessed Teresa of Kolkata in Westminster Cathedral in London, I was amazed to see the small choir on the sanctuary and dominating the whole left side. The choir conductor often hinded sight of the celebrant, the Archbishop. The bishop, strangely, did not use his cathedra to sit on but rather a temporary one on the other side of the temporary altar. Why he did not use his set cathedra was amazing – I have never known a bishop NOT to sit in his cathedra in his cathedral. Curious. But at the start of the mass the whole procession had to stop and wait in the main aisle while two ‘dancers’ performed on the sanctuary during a ‘hymn’ that was being sung for the second time within 10 minutes. Why the man and woman were allowed to do this balletic thing amazes me. The sanctuary is not a dancing stage – and it was so distracting, but that it held up the episcopal procession was just stunning. Not sure this was in the spirit of the late and great and indeed Blessed Mother Teresa. Is there creeping liturgical liberalism at Westminster? This was part and parcel of the “LIFE TEEN” program and is, as noted above, borrowed from the preaching of Protestant ministers. Very often in the LIFE TEEN setting it involved carrying around various props and/ or “interviewing” various assembly members as part of an “interactive” homily. I even saw one priest toss the wireless microphone across several rows of pews to an individual (a la Phil Donahue) so that he could speak… in retrospect a very unwise idea as someone could have been seriously injured. This would be an interesting topic to explore further. I’d like to hear your thoughts on the very nature of Protestant vs Catholic preaching and wherein you feel the differences lie. I’ve recently been to a Lutheran service, which felt very much like a Catholic one in form. No roaming around. And they’re not really “protestant” but at my Unitarian Universalist congregation the sermon is never given anywhere but at the pulpit, and when I was at the Ethical Society in New York two weeks ago, the address was given from the lectern. One very good reason for not perambulating is as your correspondent identified: it makes following the address so much more difficult for the hard-of-hearing. I thought that was Fr. Pfleger in the picture! I used to go to a parish where one of the priests would roam back and forth across the sanctuary and partly up the aisles (architecture is 1960s semicircular) when he preached. I couldn’t stand it; made me feel I was at a tennis match. Fr. Richtsteig-‘shambulation’ and ‘magnets under the floor’! Ha! Love it! Good ones! A homily is a reflection on the readings just proclaimed. This is different from a sermon which is an explanation of a point of doctrine. A homily should be given at the ambo, that is, at the lectionary (or book of the Gospels). IMHO the priest should touch and caress the gospels as he speaks, he should breath over them and his voice should thunder over them as he formulates his homily. This symbolically harkens back to the creation of the world when the breath, the spirit of God hovered over the waters. The living water, that is Christ, is proclaimed in the Gospel and the priest (the alter Christus) should sprinkle this water on the faithful. His connection to the Gospel is clearer still by his remaining in close proximity to it. When a priest leaves the ambo and wanders around, he may think he is simply ‘bringing the gospel to the people’ but as we can see he has in fact left the scriptures behind. I think that the symbolism is that he is abandoning the gospel to some extent and substituting himself. His logic should tell him to bring the book with him! The sanctuary and the communion rail are there for a reason. One of the reasons is to keep the faithful OUT of the domain of the sacred ministers. The other is to keep the sacred minister OUT of the domain of the lay faithful. “The first effect of not believing in God, is that you often lose your sense of tradition” ? Well, the worst I’ve seen is a visiting priest actually move the ambo to face one side of the congregation…just to read the gospel. Then he left it, started singing “if you’re happy and you know it” until the response was to sit down, which he did on the steps of the altar. The altar boys holding the candles on either side of the ambo were confused to say the least. I instinctively tune out homilies that are useless, such as the one described above. When priests roam around, i tend to think more about whether he’s going to come up to me and ask me to “praise Jesus!” or something. The priest at my previous parish does this sometimes. I think it’s only when he feels comfortable giving the homily without notes that he does it. Always on holidays, of course, and usually at the Life Teen Mass (last Mass of the weekend, by that point he’s given the same homily at least three times). At my current parish, one of the priests walks back and forth on the steps leading up to the sanctuary. And do you know what that does? Draws my eyes to his shoes. Haven’t a clue why, but it happens without fail. After that, I happily noticed the bishop and many other “shambulators” move back to the pulpit. Priests will walk around because they think it is what people like or they want to imitate other priests who do this. Please correct me if my memory fails me. It seems to me that when in the past I attended Byzantine Catholic divine liturgy–I know there are more than: I am pretty sure the ones I’ve witnessed were the St John Chrysostom litutgy–it seems to me that the Gospel was taken from the sanctuary, was read and then put away with ceremony from in front of the central gate, and that the sermon/homily was given from a lectern in outside the sanctuary. That photo makes me think of Howard Dean. We have this problem sometimes at my parish. I say, that’s why you get an altar rail, to keep the clergy in the sanctuary. I love this talk by Fr. Bill Casey on superficial preaching. Moreover, he does it completely from the ambo. You don’t have to walk around like a revival-tent preacher or a stand-up comic to deliver an effective homily. When we got a new pastor, he did a lot of, to be charitable, odd things. I thought he was using the rock star mike and moving around the church during the homily because he knew a moving target is harder to hit.